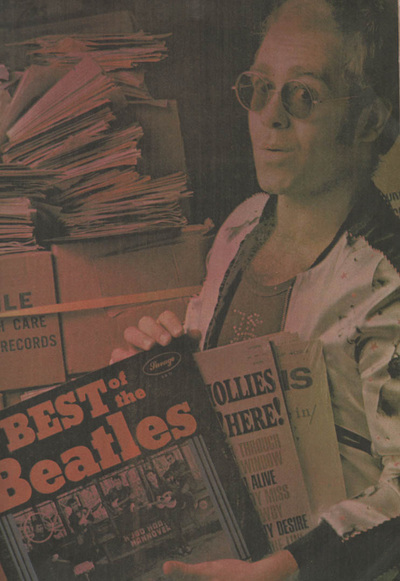 Each week, the two would eagerly anticipate the newest American imports at Soho’s Musicland record store, using what little money they had to buy the latest recordings of everyone from Love to Leonard Cohen to Charles Lloyd and Paul Horn. Phil Vellender a customer in the 70's at Musicland recalls members of Led Zeppelin often in the shop . 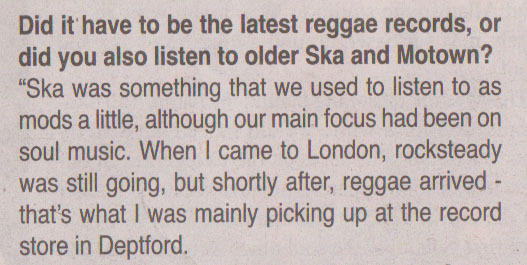 He was always a genuine music obsessive. 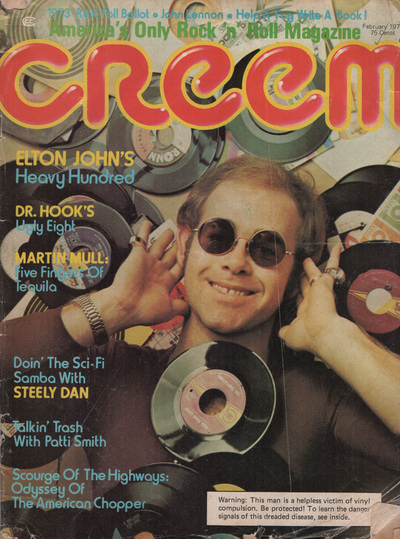 In the early 1970s, with his career in full, vertiginous flight, he incredibly found time to help out at a Soho record shop on a Saturday, manning the counter when the assistants went on their lunch break, selling albums by Leonard Cohen and Soft Machine to London's discerning rock fans: "Maybe they did recognise me," he frowns when I ask if London's discerning rock fans weren't a little disconcerted by finding Captain Fantastic on the till, "but I was just having a ball. 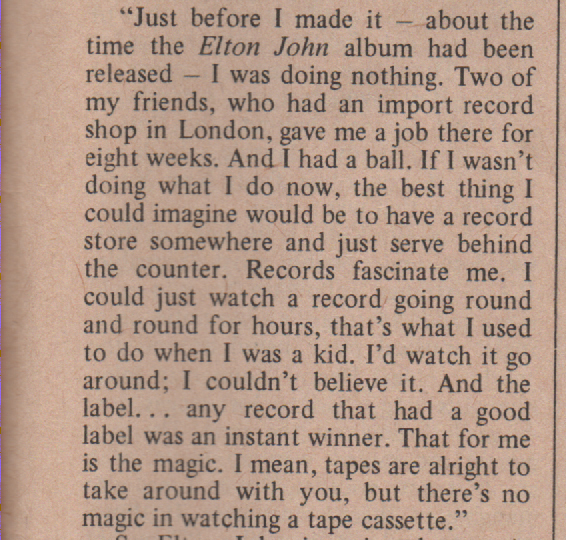 Elton John Interview Guardian 2012. 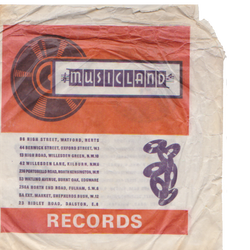 My boyfriend (now husband) started work at Musicland in 1970. 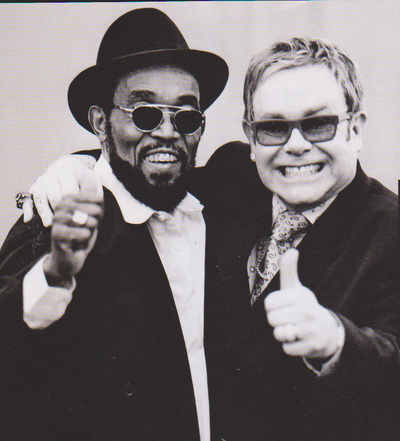 I do remember many times in the shop with him, Ian Brown and John Gillespie, the managers at the time. It was a favourite of many up and coming musicians of the time - Marc Bolan, David Bowie, and of course, Elton John, who all came in. 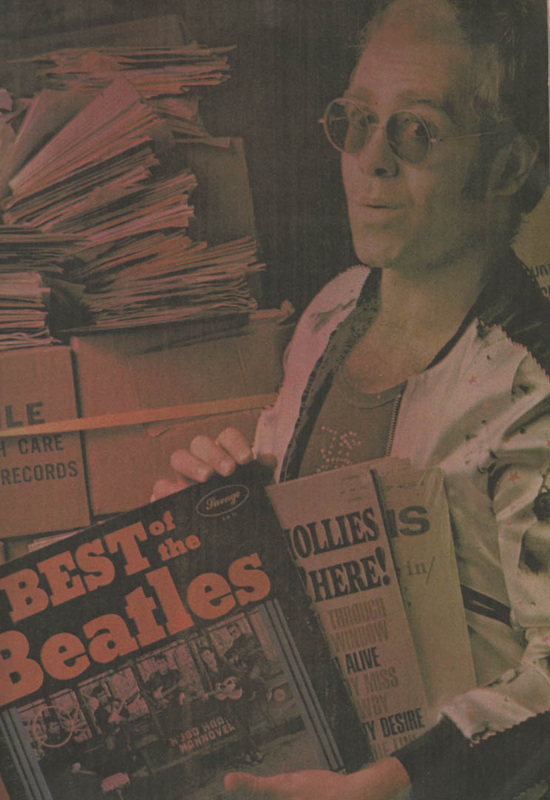 Everybody wanted US imports, and so Patrick (my husband) learned nearly everything anyone wanted to know about the records. 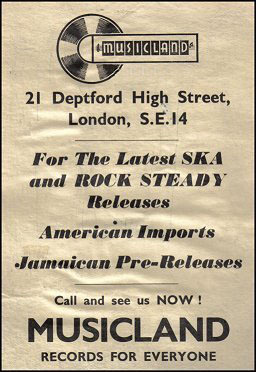 Emperor Rosko bought his records there, as did most of the DJs from the SoHo clubs of the time. Patrick then went on to work at One Stop in Dean Street..happy times! Comment: Stephanie Baggett. 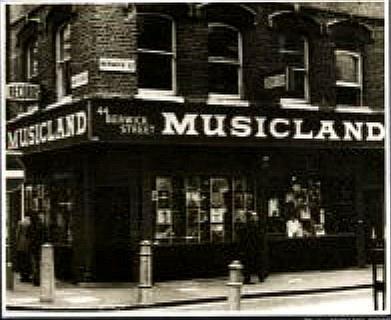 I worked in several Musicland shops, including this one, mainly as Saturday boy as I was still at school. Anyone remember the white American bloke with dreadlocks who carried a lump of marijuana as big as a house brick around with him? I'm always ready for a Musicland chat! 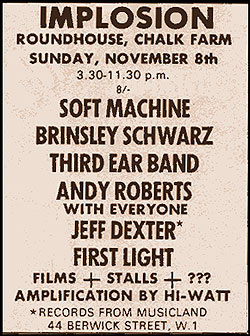 It was a fascinating organisation, and I worked in most of the shops, as well as the "HQ" at Music House. 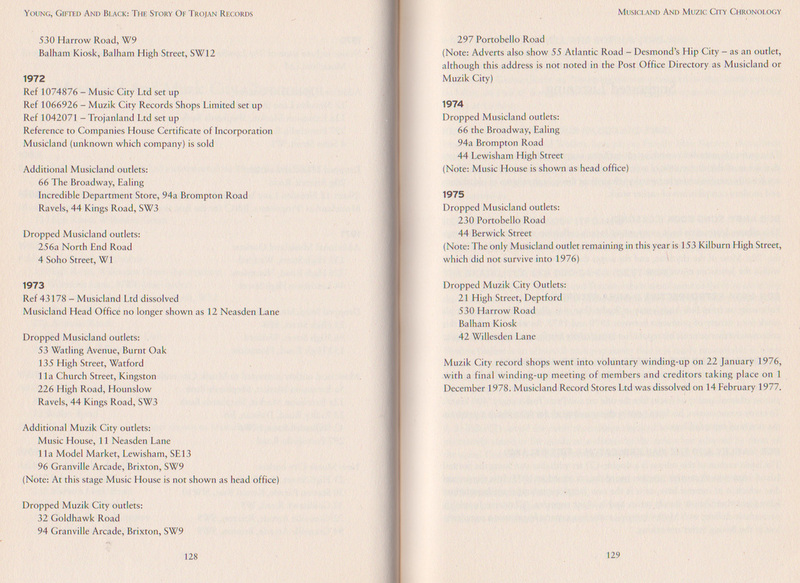 Never got to the Kingston branch though! 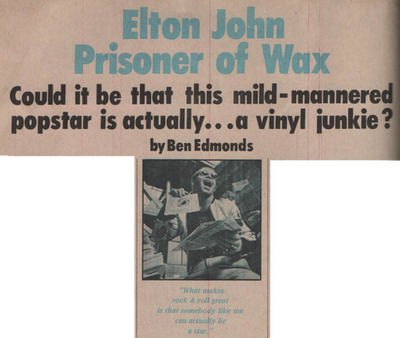 (Or the "flagship" Berwick St. one.) Comment: Ian Hingle. (Sept 25, 2014) fred s./los angeles said:what a huge kick it was to saunter into musicland on berwick street on some cold weekday evening with the smell of bus exhaust, pizza and soho perfume in the air. 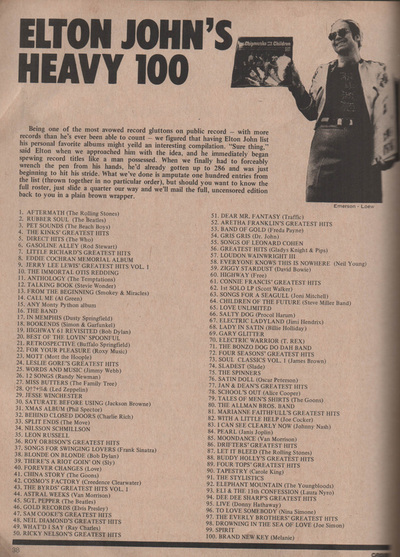 nobody was hip enough for the guy behind the counter -- who always had longer hair than you and wore one of those crushed-velvet jackets that smelled of patchouli. i popped into the place usually about twice a week after school, gazing at the delicious, pricey imports and new releases in the bin on the right as you entered. i loved that place. 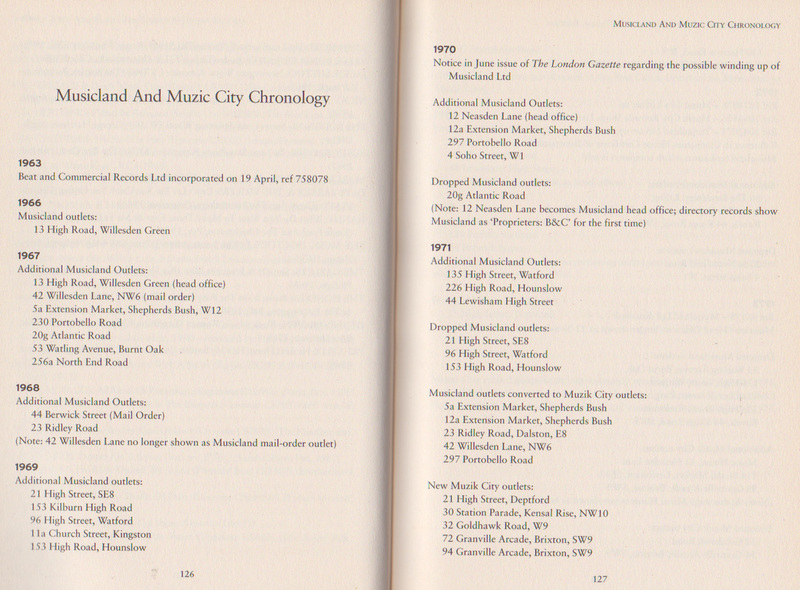 (Apr 15, 2014) Anonymous said:I worked in several Musiclands - mainly in North End Rd. Fulham. Never made it to Berwick St. though - that was for the big boys! (Feb 25, 2014) Mark Wilkinson said:I'd hitch up the M4 with some pals and maybe see a band at The Marquee in the evening…The Nice usually! But afternoons were spent roaming round the import shops. Musicland was always the first port of call…a sanctuary. 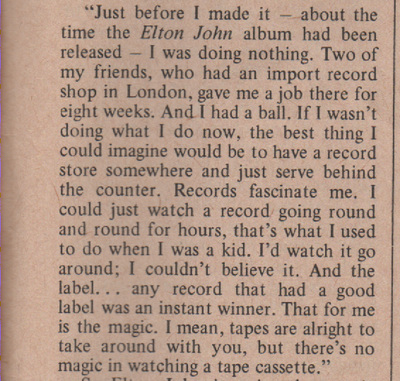 I never saw Elton behind the till there but Marc Bolan walked in once, as did Jeff Dexter - after zooming around Soho on his monkey bike, mopping up the latest US imports for his DJ spot at Middle Earth Club. 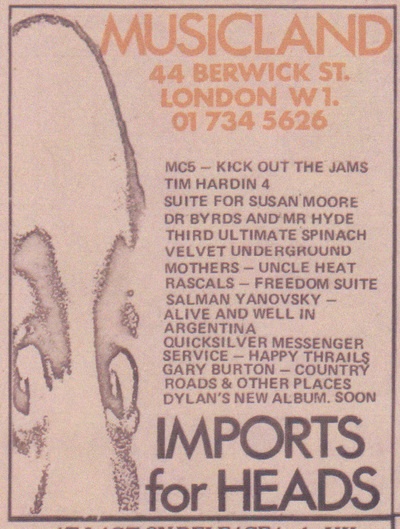 One Stop Records in South Molten St. was pretty good too - but didn't have the ambience of Musicland which was (by common consent) the creme de la creme of record shops…the best I ever remember. US imports were around 59/6 (less than £3) but that was a significant chunk of the paper round savings back then! The cardboard was thicker and the vinyl heavier. 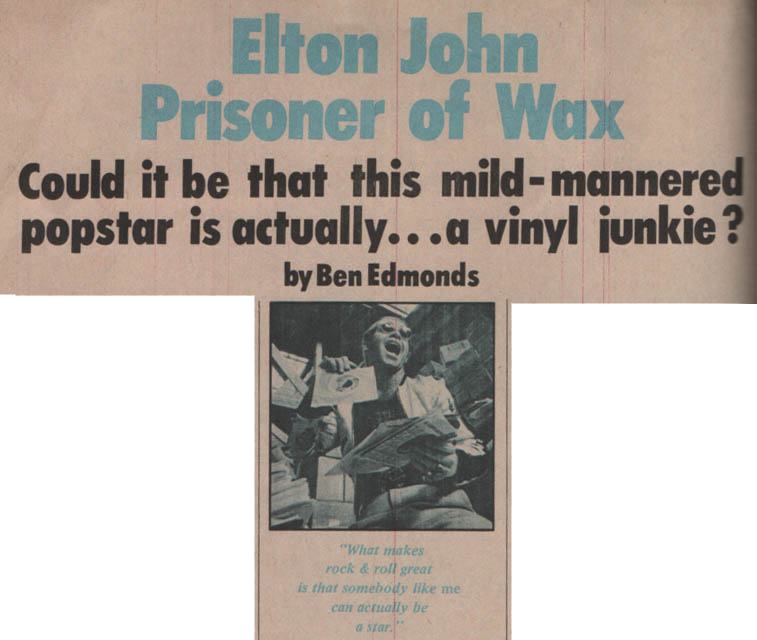 They smelt different to UK records too:) Or maybe that was the patchouli oil that infused the racks! 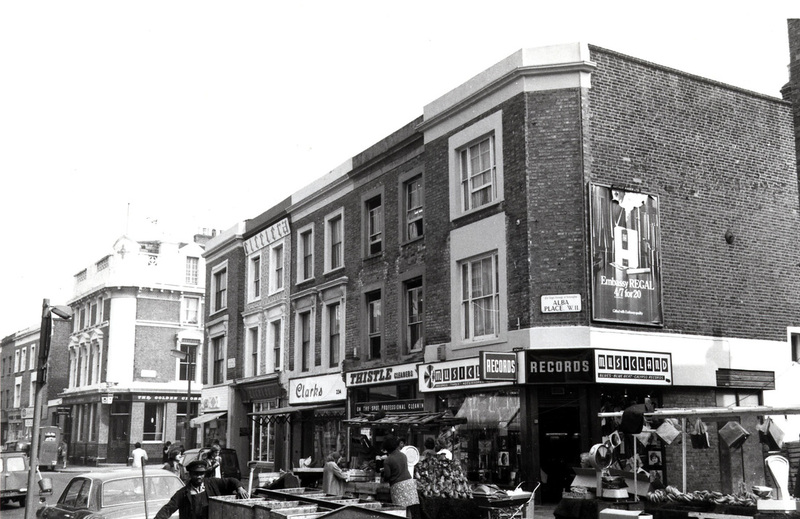 (Mar 25, 2013) Rockdoc said:My two favourite record shops in the sixties were Musicland in Berwick Street and One Stop in South Moulton Street. 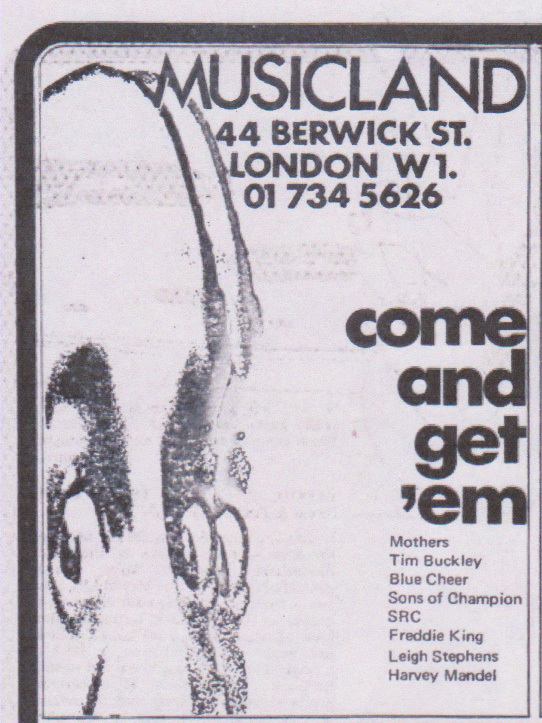 I'd visit Musicland several times a week. 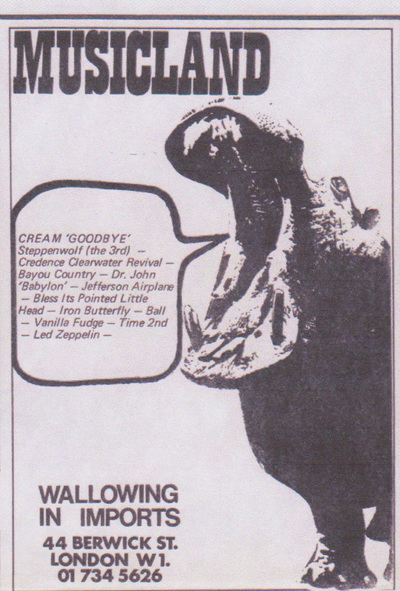 I bought my "Strictly Personal" and "Trout Mask Replica" albums there and was advised by the knowledgeable salesperson (I regret never asking their names) to listen to Neil Young's first LP when it first came in. "Everybody Knows This is Nowhere" had come in at the same time and it sounded so completely different from the first album. So I bought both! Neil autographed my "Neil Young" album in 1996. (Dec 27, 2014) I managed the store after the last manager. Comment: Richard Broden. (Jan 28, 2015) I remember going to an allnight club at the Lyceum after Middle Earth had closed down in Covent Garden and Chalk Farm to wait until Musicland opened in the morning so I could buy the fabulous Trout Mask Replics by the Captain (on import naturally!). Comment: Clive Gutteridge.